We know you don't have to post reviews, but you do. You share your feelings about books, translating your passion into words. You might not think a review on Amazon or a Facebook post makes a difference, but it really does. Readers influence other readers. Word of mouth becomes the most powerful promotional tool in the literary world, but it's a constant struggle for an author to figure out how to create word-of-mouth buzz. Many loyal readers of this blog have helped out us by posting reviews and to reward you, I'm going to mail TEN reviewers A Deadly Cliche treat bags containing a seaside-themed cookie cutter (starfish, lighthouse, or seashell), a summer notepad, bookmarks, and more. If you have post a review any time in the next week on any of the Cozy Chicks' latest releases and let us know where you did it (Amazon, bn.com, Goodreads, Facebook, your personal blog) then you qualify. This book is simply one of the best. It's terrific characters and wonderful story make this a book you'll curl up with over a weekend and read. It's one you can't put down because you need to see what happens next. The third in the series and it's just as terrific and beautifully written as the first two. I'm so glad I picked up this book!! Hiya, I wrote a review for A crafty Killing by Lorraine Bartlett over at bn.com! Webber did it again! Knocked it right outta' the park with another fabulous Lucy Valentine adventure. On top of the well-thought out storyline and ever-growing cast of unforgettable characters, she ended with the most poetic line possible... "I already do, Lucy Valentine. I already do." The only question left to the reader is whether or not we'll get take part in those words playing out in a possible fourth installment of the series?! I hope those all count. 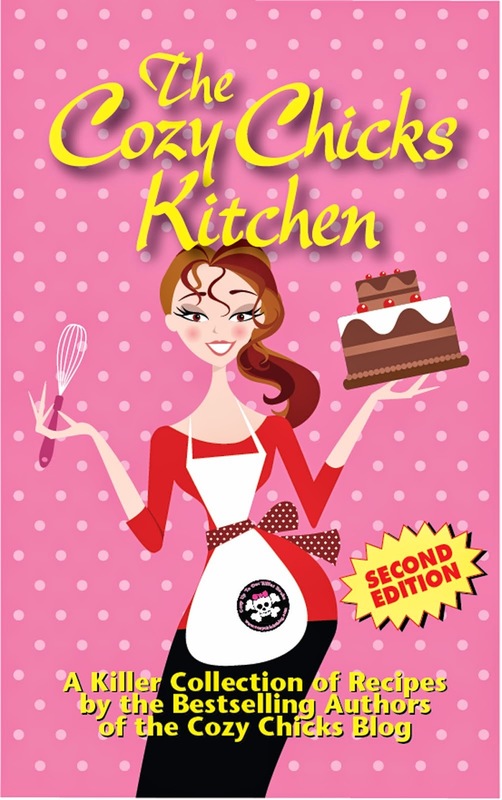 All my reviews for Cozy Chicks books were done right before Tuesday on my blog and all the other books sites, but now that my computer is back to itself I will be adding the them all to Amazon today!!! But Ellery the books were truly gifts enough. I love ready what the "chicks" write!! That's a good idea. My cozy chicks reviews are on my reading blog and reviewed on amazon and B&N. I left a review of A DEADLY CLICHE' on the Powell's Books Website. I would really love to write a review but unfortunately I have not been able to read any of the latest books because I am still working on Ms. Kate Collins' Flower Shop Mysteries. I will say I look forward to reading all of your books. Off I go to pick one out for my next bedside book, even if I don't make the top ten. Just wrote my review at Amazon for A Crafy Killing, but then realized you may not be able to see it for 24 hours and went ahead posted virtually the same review on my goodreads page! I reviewed Heather's new book earlier this month and just started Chapter and Hearse this week, so they both will have some activity too! I miss a couple here and there, but I know how important this word of mouth is to you guys and try to post reviews consistently! Thanks so much! I know it is not the latest one, but I like to start at nr 1 in a series. The rest will be read and reviewed soon. Another review at Amazon.com on A Deadly Cliche. LOVED this book!! 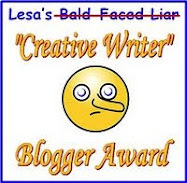 I post most of my reviews at my Shelfari page, though lately I am also posting them on my blog (the one connected to this sign in). I haven't finished "A Crafty Killing" yet, but I will do so and post the reviews on my blog asap. Shushan, thanks for posting your reviews of our books on Shelfari and your blog. But the truth is that very few people will see your review there. The very best places to put reviews are where people actully buy books--on the big online retailers' websites: Amazon, Barnes & Noble, Powell's, Borders, Books A Million, Book Depository. We're not discouraging you from posting them on Shelfari, Goodreads or your blog, but perhaps a few days after you do you would put them on the other online sites. That will bring not only your review more attention, but you as a reviewer, too! Its possible that Amazon will start adding my Shelfari reviews into the main review system soon, as apparently some sort of merge is taking place. I do read other Shelfari reviews though, not just the ones on Amazon. I just did one of Deadly Cliche this morning too! I posted a review of A Deadly Cliche on Amazon, Barnes and Noble, Goodreads, Shelfari, Librarything and my blog Booklady's Booknotes (http://bookladysbooknotes.blogspot.com/2011/03/deadly-cliche-by-ellery-adams.html). When I get home, I'll post on Facebook as well. I just can't do that from work. These were all posted today, but I believe may already be showing as one person on Amazon has already found the review helpful. 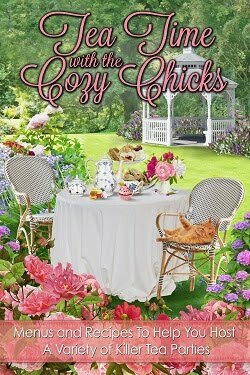 I love all of the Cozy Chicks' Books and am constantly trying to convince my thriller mystery friends to give cozy mysteries a try. to Amazon, B&N! A real cozy past few days around here!